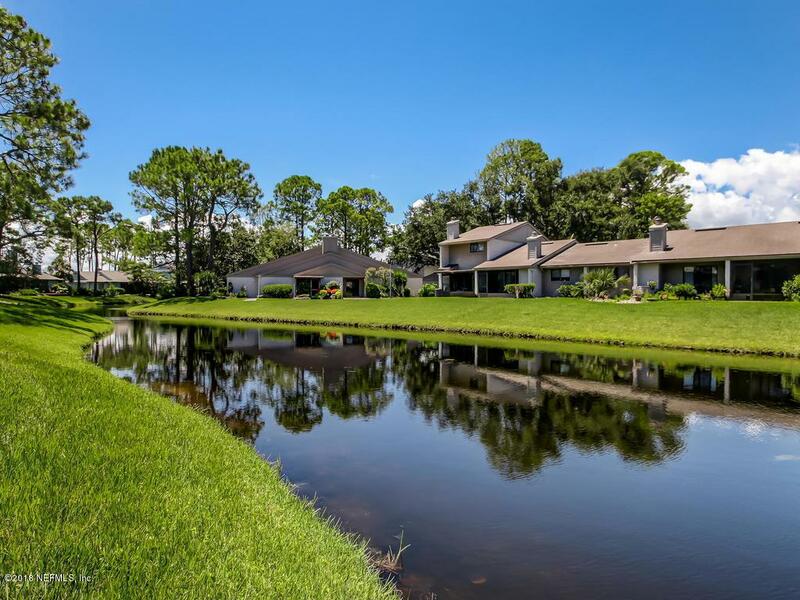 Light and bright Ponte Vedra Beach lakefront courtyard condo in sought after Marsh Cove! 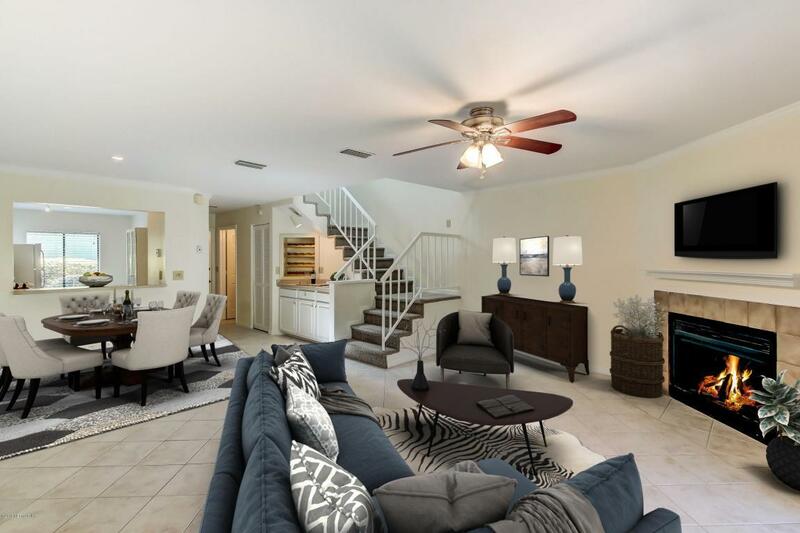 Updates throughout and freshly painted inside and out this charming condo offers spacious living spaces, wood burning fireplace, a bright kitchen with tons of counter space and newer appliances, a screened lanai, two master suites with ensuites, walk-in closets and vaulted ceilings upstairs! The larger master has a lake view, updated ensuite with new tile and oil-rubbed bronze fixtures. The secondary master suite has a private ensuite with tub/shower and a large walk-in closet. Large window and sliding glass doors allow natural light to flood each room. Downstairs, there's a powder bath and laundry closet. Storage is no problem in this condo! 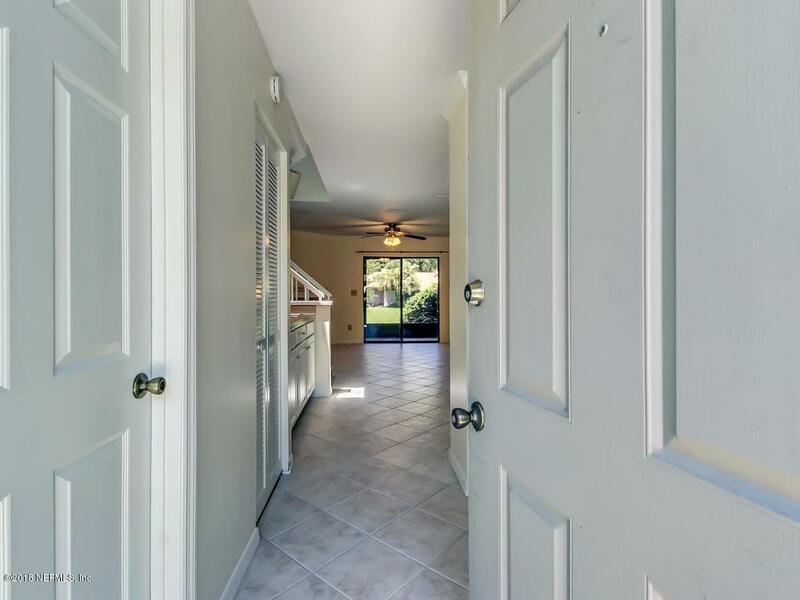 A large storage closet on the lanai is perfect for bikes orbeach chairs and inside there's multiple closets including a walk-in closet under the staircase and tons of closet space upstairs! Close proximity to the beach, great restaurants, shopping like Target, Publix, Trader Joes and much more! With easy access to JTB you can be at the St. Johns Town Center within 15 mins or the airport in 30 mins! 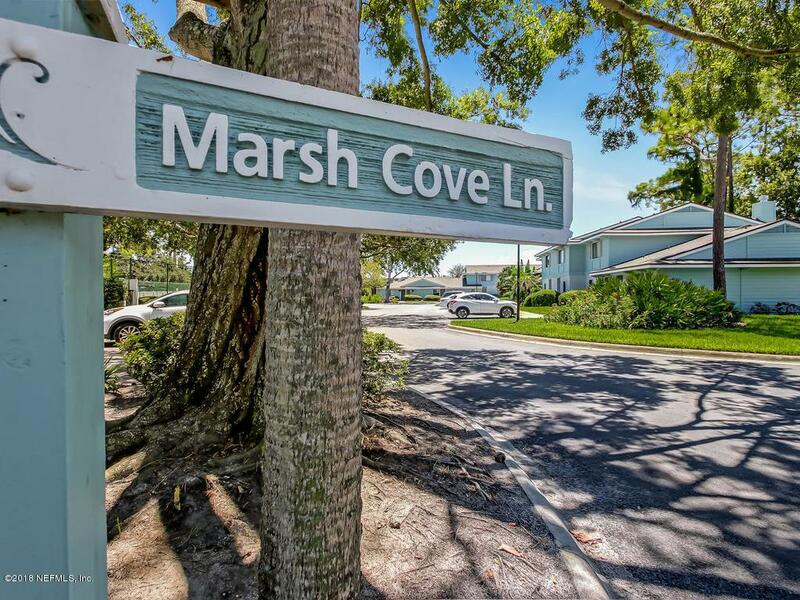 Marsh Cove offers club amenities including a sparkling pool, lounge chairs and a tennis court! Other local amenities include the Ponte Vedra Inn & Spa.